? beautiful house with a panoramic view of the sea and the sunset in the western part of Crete, in Falassarna. The house is located 60 min drive from the airport of Chania and a 50 min drive from the port of Souda. The house consists of three building volumes- two single storey ones separated by one double storey building. The total area of the building is 220sq.m., and the area of the plot is about 550sq.m. The architectural design of the exterior of the house follows the morphology of the traditional houses of Crete with courtyards and garden, while the interior provides modern and comfortable living. On the ground level there is a large sitting and dining room, a study room, a kitchen, a utility room, a bathroom, two bedrooms one of which with an en-suite bathroom and independent access. On the upper floor there is a large bedroom with a bathroom. All spaces are oriented towards the west overlooking the unique beauty beach of Falassarna, offering unobstructed view to the magical sunset. 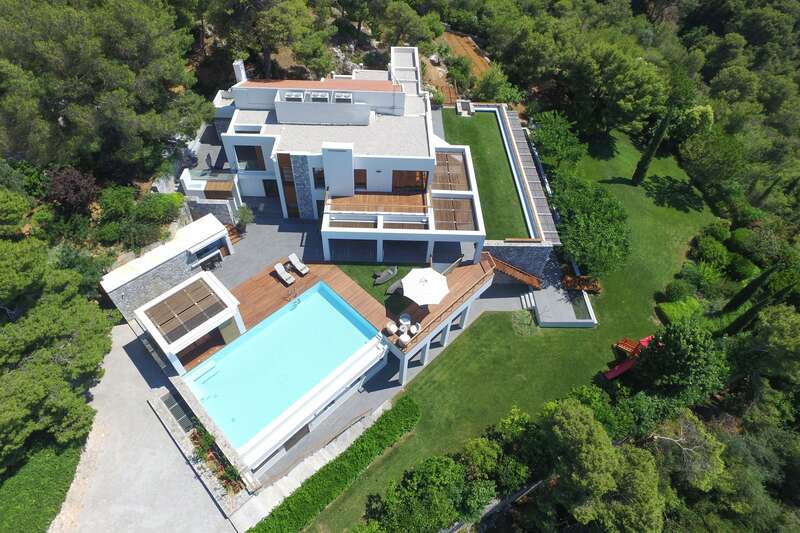 An exceptional contemporary property in absolute harmony with the Cretan landscape.